Rice Krispies treats are so yummy, but I think they are a bit underrated. They don’t get as much air time as they should given how delish they are. Rice Krispies Treats are not something I make super frequently, but after I do I am always wondering why not. A great thing about Rice Krispies treats is that you can decorate them pretty easily or form them into a specific shape to make them seasonally or holiday appropriate. 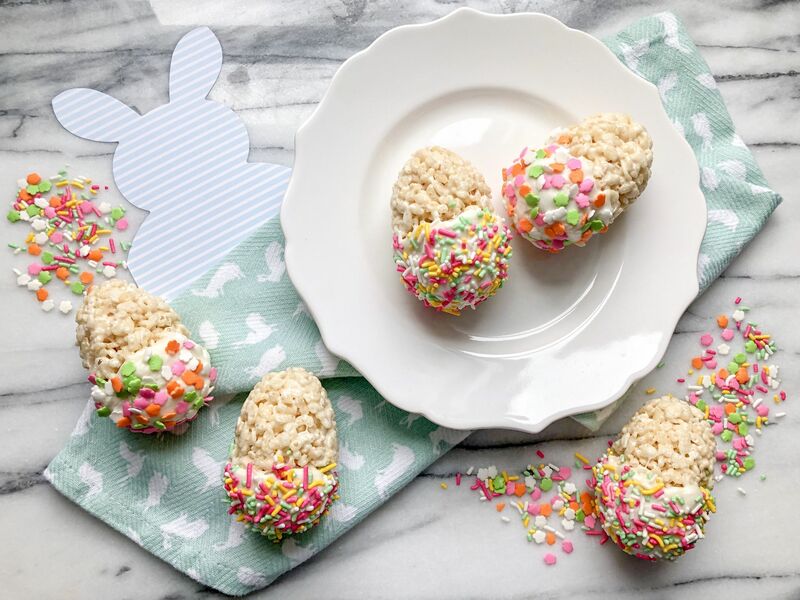 With Easter right around the corner, Rice Krispies Easter Eggs seemed like a fun idea for a weekend with friends and a few little kiddos. These would make a great and unique Easter dessert- no matter the age of your guests. If you have kids that are at the right age, I think these would be very fun to decorate together too! Can’t wait to get to bake with Nicholas once he is older! In a large sauce pan, melt the four tablespoons of butter. Once melted, add marshmallows and stir until melted. Stir cereal into melted marshmallows until covered and well combined. 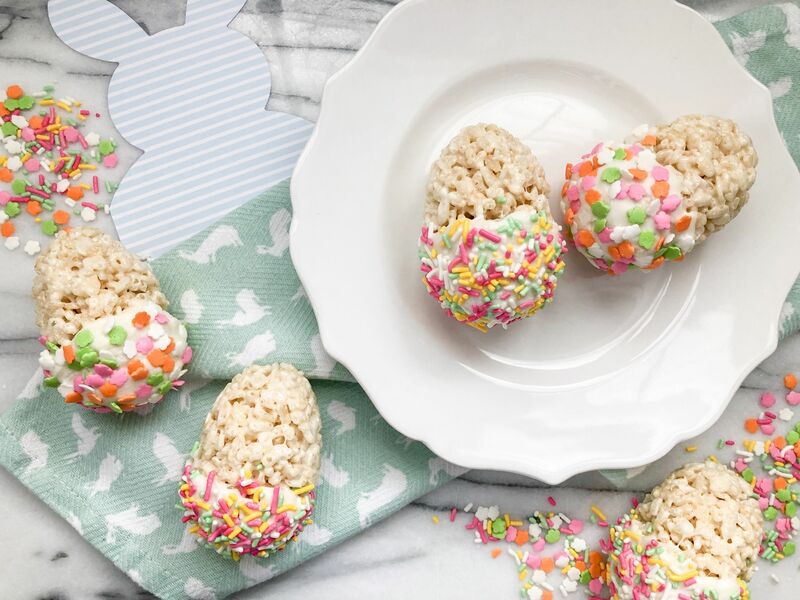 Fill half of each plastic egg with rice krispies treats mixture. Combine the two halves to create an egg shaped treat. Allow treats to completely cool. Melt 1 cup of white chocolate. Dip bottom third of Easter egg into the melted chocolate. Pour sprinkles onto melted chocolate. Cool treats on parchment paper for thirty minutes.